The so-called "center of gravity for entrepreneurs in Texas" will move into The Centrum in Uptown in the second quarter of 2018. Capital Factory got a taste of Dallas in August when it joined forces with the Dallas Entrepreneur Center with a shared goal of growing Texas’ startup and investor profile. Now, the Austin-based accelerator, co-working space, and entrepreneurial hub has leased a big chunk of space in The Centrum near Cedar Springs Road and Oak Lawn Avenue in its first dedicated Dallas location. Capital Factory will occupy more than 26,000 square feet within Quadrant Investment Properties’ The Centrum, which is in the final stages of a $25 million renovation. Capital Factory will move into its new space in the second quarter of 2018. The space will be a new location for DEC members as well, per the two organizations’ ongoing partnership. “We feel like we’ve been successful at … being an entrepreneurial center of gravity … in Austin. 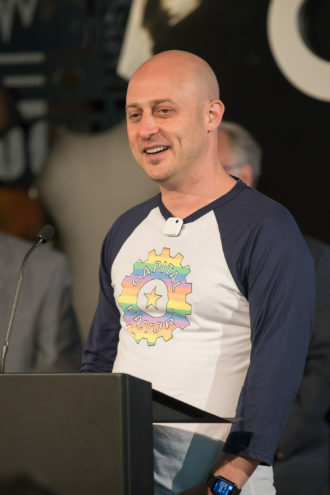 We’re ready to take some of what’s worked well in Austin and extend that out to the rest of the state,” Capital Factory founder and executive director Joshua Baer says. Capital Factory, which says its focus is “squarely on DFW right now,” is expected to announce the new location at the Centrum Tuesday afternoon in conjunction with its Dallas Diversity & Inclusion Investment Challenge event. The event, held in partnership with The DEC, Perot Jain, and DivInc, will award $100,000 to qualifying North Texas startups that have at least one female or person of color as an executive. Winners also will have special access to leading entrepreneurs, Capital Factory’s mentor network, office space at The DEC and Capital Factory, as well as other resources. Capital Factory will move into an area called The Annex within the 392,000-square-foot Oak Lawn landmark. The Annex spans two floors, has 18-foot ceilings, and overlooks the newly renovated shaded courtyard. Capital Factory’s space will have several event spaces, classrooms, private desks, a unisex bathroom, a mother’s room, and (because no innovative space is complete without one) a game room with table tennis and virtual reality. As part of Capital Factory and the DEC’s partnership, the two accelerators share resources such as mentors, work space, training, and programming. The partnership, dubbed the Texas Startup Manifesto, will remain in tact. 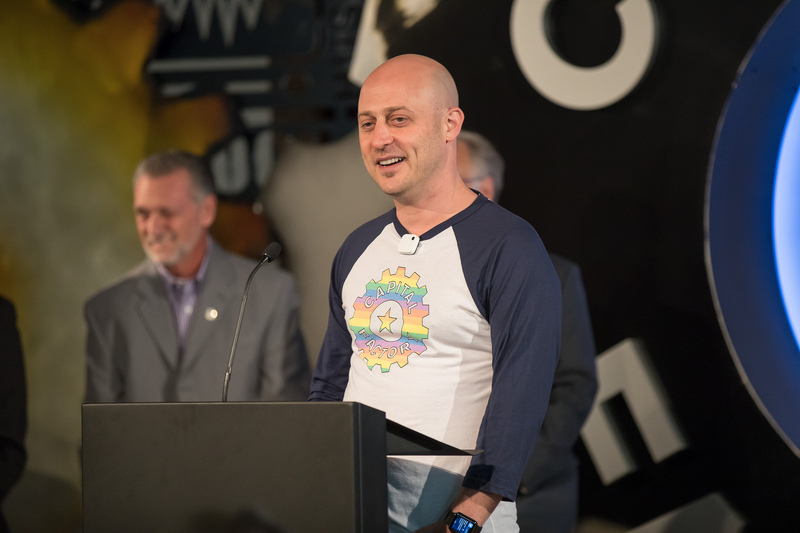 Members of The DEC, which was co-founded by CEO Trey Bowles in 2013, and Capital Factory will all be able to utilize space and resources at The Centrum. The relationship, Baer says, is complimentary, not competitive. The DEC, a non-profit, shares its deep knowledge of the Dallas-area startup scene, and Capital Factory, a for-profit, shares its funding and resources. Since the partnership was founded in August, Capital Factory has added 50 new mentors from Dallas through the The DEC, coordinated 91 office hours meetings between entrepreneurs and mentors, and seven Dallas startups have joined its accelerator program. Quadrant bought the project on Oak Lawn Avenue and Cedar Springs Road in 2014 and completed the bulk of renovations in 2017. Quadrant has transformed what founder Chad Cook called “problematic public spaces” to create an amenity-rich mixed-use project centered around a courtyard and several restaurants. Architect Merriman Anderson/Architects and general contractor Scott + Reid renovated an open-air breezeway into a climate controlled lobby with a rooftop deck, tenant lounge, and conference center. Three food and beverage concepts—Mudsmith, Pints & Quarts, and Mille Lire—will join longtime tenants Mattito’s and Steel Restaurant & Lounge at the Centrum. More modern amenities such as a 6,000-square-foot gym managed by personal training firm Vive, have allowed Cook to push office rents to around $30 per square foot and double retail rents. With Capital Factory’s lease, The Centrum is 70 percent occupied. 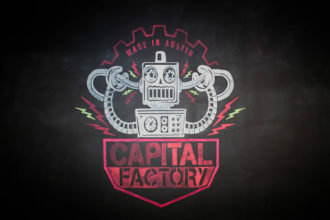 Capital Factory will also have signage on Oak Lawn Avenue. Read more on the Centrum’s renovations on our sister website, Dallas Innovates.